CEPI is pleased to announce its third call for proposals (CfP3i) for the development of human vaccines against Rift Valley Fever (RVF) and Chikungunya (CHIK) disease, with anticipated support from the European Commission. This document describes the scope, requirements, and processes for proposal submission, review, and selection for funding..
CEPI envisions a world in which epidemics are no longer a threat to humanity. CEPI is working to achieve this vision through: accelerating development of vaccines against emerging infectious diseases; and securing stockpiles of investigational products to enable equitable access to these vaccines for populations who need them during outbreaks. CEPI invites applicants (i.e. relevant vaccine development organizations and/or consortia) to submit proposals for funding. Applicants should submit detailed plans for product development, manufacturing, and related activities as described in this document, including a clear development plan that describes milestones, timelines and criteria for success, and an assessment of risks and proposed mitigation measures to ensure their resolution. CfP3i is the first of two potential calls for proposals in which CEPI is seeking to fund human vaccine development against Rift Valley Fever (RVF) and Chikungunya (CHIK) diseases. CfP3ii, which will also pertain to RVF and CHIK diseases, is expected to open in late 2020. Due to the structuring of anticipated funding from the European Commission to CEPI, applicants are presented with this first funding opportunity in 2019 (CfP3i), with a likely second, open call in 2020 (CfP3ii), which could make additional funding available to successful candidates. Successful CfP3i applicants could be granted further funding through the CfP3ii call dependent on the progress of their vaccine development projects between initial funding and the launch of the CfP3ii. Applications for funding in CfP3i (first call) is not a precondition for applying for funding in CfP3ii (second call). The budget of CfP3i is USD 48 million, with the potential to increase to USD 148 million in aggregate after a second call (CFP3ii). CfP3i is expected to fund 1 to 8 grants. Applicants who are able to provide co-funding, complimentary funding, or in-kind support will be considered favourably. CfP3i projects must be completed within 3 years from January 2019 and should have made significant progress in the 12 to 15 months after the signing of a CEPI funding agreement. If you are planning to submit, please let us know by the 1st of February 2019. By the 26th of February (15:00 CET) you must send a request to receive instructions on how to submit your application. The submission deadline for this call for proposals is Tuesday, the 5th of March 2019, 15:00 CET. Epidemics of emerging infectious diseases (EIDs), particularly those prioritised by the WHO in its “R&D Blueprint for Action to Prevent Epidemics”, are a significant threat to global health security. In a world with increased urbanisation, mobility, and ecological change, their potential for disruptive impact is increasing. At CEPI we envision a world in which epidemics are no longer a threat to humanity. Our contribution to this goal is to accelerate the development of vaccines against EIDs and enable equitable access to these vaccines for populations who need them during outbreaks. 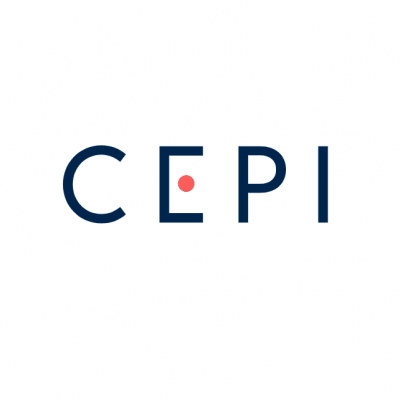 CEPI is an international non-profit association established to develop vaccines to prevent and respond to future epidemics and to secure access to such products for the populations who need them. CEPI will advance safe, effective and affordable vaccines that can help to contain outbreaks at the earliest possible stage. CEPI was launched in January 2017 by the governments of Norway, India, the Bill & Melinda Gates Foundation, the Wellcome Trust, the World Economic Forum. CEPI has since then received commitments for additional support from the European Commission and the governments of Germany, Japan, Canada, Australia, Belgium, and Ethiopia. Take all possible actions at each stage of product development and manufacturing to maximise the achievement of equitable access to our vaccines. This new call for proposals builds on CEPI’s prior investments in Lassa fever, MERS-CoV, and Nipah vaccine candidates and versatile vaccine platforms, and was informed by a thorough review of the R&D pipeline of EID vaccines in 2018. In September 2018 the CEPI Scientific Advisory Committee (SAC) advised that CEPI should invest in human vaccine development against Rift Valley Fever virus (RVFV) and Chikungunya virus (CHIKV). This advice was based on the feasibility of vaccine development, and the potential public health impact of vaccines against these diseases, in the anticipation of substantial new funding from the European Commission. While vaccines against both viruses appear to be technically feasible, the commercial prospects for vaccines against RVFV are non-existent and are uncertain, at best, for CHIKV. RVF disease was included among the WHO R&D Blueprint list of priority pathogens in 2018, while CHIK disease was among the diseases deemed to present major public health risks for which “further research and development is needed” and would require “efforts in the interim to understand and mitigate the public health risks”. The current RVFV vaccine pipeline includes 17 candidates. However, only two are in Phase II while other candidates are at a preclinical stage.1 Therefore, the focus of CfP3i is to further advance those vaccine candidates already in clinical development, and/or to advance the most promising candidates with preclinical proof of concept into clinical development. CEPI aims to shorten the time to develop a vaccine that can be tested in a pivotal trial in the event of a future epidemic. To achieve this outcome for the RVFV vaccines, vaccine developers should include in their product development plans adaptive trial designs to accelerate vaccine development (e.g., initiate Phase II in parallel to Phase I once safety data justify this). Their plans should also aim to have vaccine candidates enter Phase II by the end of a 3-year period. By contrast, the CHIKV vaccine pipeline contains 27 candidates of which five of them are in Phase I and two of them are in Phase II.1 The development of these candidates has been supported mainly by public sector investment with some degree of private sector financing. In line with CEPI’s mission, commitment to equitable access, and recognition that most of the CHIKV disease burden is in low- income and middle-income countries (LMICs), CEPI will focus its funding on activities that will enable Phase III trials and other activities in support of WHO prequalification and future licensure. Our investments will facilitate access to CHIKV vaccines for vulnerable populations in affected LMICs. CEPI will not provide sole funding to a pivotal efficacy trial but is open to investment in this kind of activity if there is a significant co-funding and investment by the vaccine developer, to maximise the impact of CEPI’s investment. This potential new funding opportunity results from the Horizon 2020 programme2, where CEPI and the European Commission will work in partnership to support the advancement and diversification of the current vaccine-development pipeline against priority EIDs. Due to the structuring of potential funding from the European Commission to CEPI, applicants are presented with the first funding opportunity in 2019 (CfP3i), with an anticipated second open call in 2020 (CfP3ii) that could provide additional funding to successful candidates. Successful CfP3i applicants could be granted further funding through the CfP3ii call dependent on the progress of their vaccine development projects between initial funding and the launch of the CfP3ii. Application for funding in CfP3i is not a precondition for applying for funding in CfP3ii. Allocated funding: total funds allocated for CfP3i is USD 48 million with anticipated USD 100 million follow-up funding (CfP3ii). In CfP3i CEPI will allocate in total USD 48 million across 1 to 8 projects. Applicants that are able to provide co-funding, complimentary funding, or in-kind support will be considered favourably. Project duration: 1 to 3 years. There is an expectation that applicants will undertake the most cost- intensive part of their projects within the first 12 to 15 months of the project. Successful CfP3i applicants could be granted further funding through the CfP3ii call dependent on the progress of their vaccine development projects between initial funding and the launch of the CfP3ii. Applications for funding in CfP3i is not a precondition for applying for funding in CfP3ii. Funding Certain Pre-Award Costs: CEPI may provide funding for pre-award costs that are incurred in the period from proposal submission to signature of a partnering agreement to advance the implementation of the project which is the subject of the proposal. Any such pre-award costs are, however, undertaken at the risk of the applicant. Funding by CEPI of pre-award costs would only be provided to applicants that: (i) are ultimately successful in their CfP3i application to CEPI, (ii) provide documentation to demonstrate to CEPI’s satisfaction that such costs did relate to advancing the activities proposed in the CfP3i application, and (iii) comply with CEPI budgetary rules and procedures (see section 8). For the purpose of clarity, the pre-award costs eligible for CEPI funding do not include costs related to the preparation of the application itself (such as costs of technical, legal, and financial consultants to develop or revise the CfP3i application and the product development plan). a) For RVFV vaccines, to support accelerated clinical testing or activities enabling clinical Phase l/ll testing of the most advanced RVFV candidates, including identification of correlates of protection and their validation that can facilitate future regulatory approval. b) For CHIKV vaccines, to support the rapid progression of the most advanced clinical CHIKV vaccine candidates through mid-stage and late-stage clinical development, and to support activities enabling future Phase III, including identification of correlates of protection and their validation that can facilitate future regulatory approval. Indicative work package (WP): funding will be targeted towards WPs that will result in and include clinical testing of vaccine candidates suitable for reactive and/or preventive use in target populations in countries affected by RVF disease, as described in Table 1 below. Key criterion: data demonstrating protective efficacy studies in relevant animal challenge models must exist. This data must be shared with CEPI on submission of this call and will be evaluated for quality. Specific additional criteria: see Table 1.